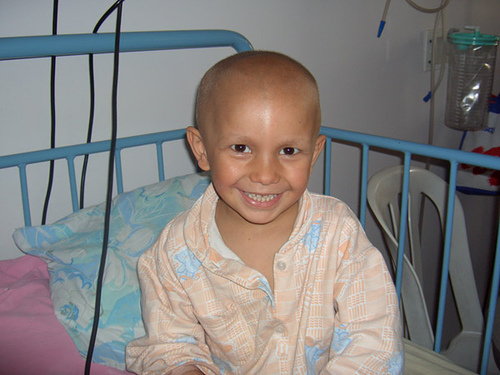 Health insurance is essential for Children and Youth with Special Healthcare Needs (CSHCN). Without it there would be no access to diagnostic testing, primary care, specialty care, hospital services, prescription drugs, therapies, mental health services, durable medical equipment and supplies, hearing aids and other health-related services. Being able to access services is critical for detecting and monitoring health problems, preventing the deterioration of physical or behavioral/mental health, and maximizing a child’s potential to learn, play and develop with his or her peers. Some services can make the difference between quality and quantity of life. Patient Protection and Affordable Care Act and the Health Care and Education Reconciliation Act (ACA) – In March of 2010, the Patient Protection and Affordable Care Act and the Health Care and Education Reconciliation Act (ACA) became law. These new laws together make up health care reform, otherwise known as Obamacare. There have been protections put in place that are crucial for families with children with special health care needs and/or disabilities. Health insurance plans can no longer limit or deny benefits or deny coverage outright because of a “pre-existing condition” and health plans will no longer be able to put a lifetime dollar limit on most benefits. The new law helps make wellness and prevention services affordable and accessible by requiring health plans to cover many preventive services without charging a co-payment, co-insurance, or deductible. New Hampshire families are already benefiting from these new protections. Another big piece of the law allowed NH to set up a Health Insurance Marketplace, an online market where people can easily see the health plans that are available, compare plans’ details and prices, and apply for the plan that would be best for their family. All of the plans must be certified as a Qualified Health Plan and must cover Essential Health Benefits. There are in person assisters throughout the state if someone does not have access to the internet or would like some in person guidance while choosing a plan. Another big change is that youth up to the age of 26 can remain on their parents’ health insurance. For more information and resources check out the NH Health Insurance Marketplace page. NH Medicaid has transitioned to a managed care system called Medicaid Care Management (MCM). NH currently has two Managed Care Organizations (Health Plans) contracted. To better understand NH Medicaid, eligibility, and services, go to our NH Medicaid page. Granite Advantage Health Care Program – On January 1, 2019, per state law, the Granite Advantage Health Care Program replaces NH Health Protection Program (NHHPP). This Medical coverage will continue through one of the state’s Medicaid Care Management plans, NH Healthy Families and Well Sense Health Plan. NHHPP / Premium Assistance Program (PAP) becomes the Granite Advantage Program. Health Insurance through your Work – If you get your health insurance through your employer or your spouse’s employer you may have encountered frustration when you needed something covered. Our Employer Health Insurance page has information and resources to help you better utilize your health insurance to cover your families needs. Individual Health Insurance – Most people in NH get their health insurance through their work. Some people, because their work does not offer insurance, or are self-employed, buy their health insurance directly from health insurance companies who sell individual plans in the state of NH. Our Individual page offers information on the options individuals have as well as resources. 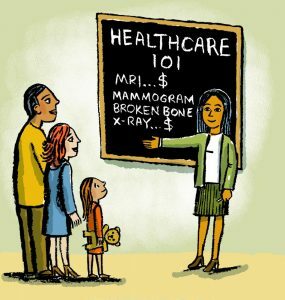 ♥ To find health care financing resources re: organizations and services, visit our “Resources” page. FH Health Insurance 101 – Fair Health, Health Insurance 101 is an online series of guides and videos that use “plain speak” to explain health insurance. Read this series if you have a health plan from an employer, an exchange/marketplace or a union, or one that you bought directly from an insurer. 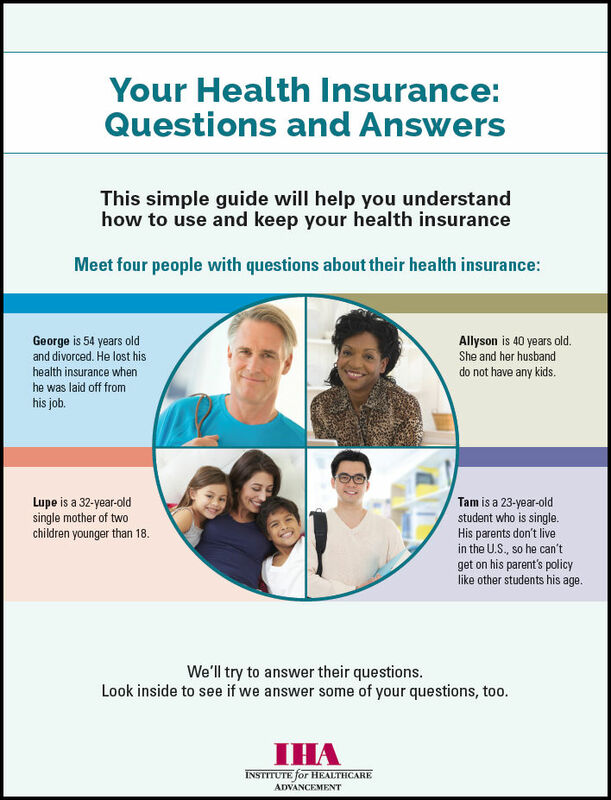 This simple guide will help you understand how to use and keep your health insurance. It is written to help you understand the basic concepts of how to use, and keep, your health insurance. Whenever you come across something you don’t understand, look in your insurance Member Handbook for answers. If you can’t find the answer, or you don’t understand, call your insurance company and ask them for help. You can develop partnerships with your child’s doctors and other providers. These partnerships will help your child receive the best healthcare. Start with clear communication between you and providers. Be sure to share your cultural differences so that they do not become barriers to access and service. The following tips will help you prepare for an office visit, talk with your child’s provider, and learn more after the visit. Health plans can benefit from learning more about CYSHCN from families who have been there, done that. Look for opportunities to share your experiences with your health plan through Family Advisory Councils or other committees. Join with other families to share information. Help others learn about cultural differences so that they do not become barriers to good care. Use this tip sheet to begin a dialogue with your child’s health care plan. Help them examine and improve their programs, policies and resources for CYSHCN.